Lots of people have been wondering if you’ll be able to mine bitconnect X. The bitconnect x website does say that they will have both staking and mining. 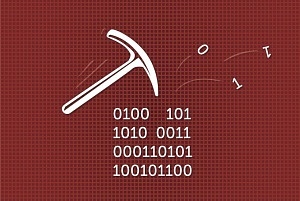 The mining script used will be the algorithm used on the bitconnect platform. The website also claims that holding money in your desktop QT wallet will allow transactions to flow directly through your wallet and then allow safer transactions through the BitconnectX platform. So it does sound like the actual wallets themselves are the miners although that is speculation. Mining pools are a larger group of users who use their resources collectively to solve the equation (Find a block) quicker and then the findings are then distributed to each member based on the work contributed to the pool. In conclusion, yes, it seems like you’ll be able to mine bitconnect x although there is not much information on it right now. The website is still in the ICO stage and isn’t due to finish it’s final round until late February. We suspect there will be more information before hand however and once there is more information available we will be posting so be sure to keep checking back for our daily articles. Alternatively, you can visit our bitconnect x forums where users frequently post questions and answers! OlderWhat is Bitconnect x (bccx) and can it be taken seriously? 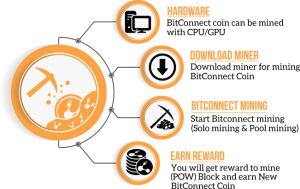 Are we able to subscribe to keep up to date on how to mine bitconnect x?